The 2003 Cheltenham Gold Cup, sponsored by the Tote, featured 15 runners and was a vintage renewal, with the crème de la crème of steeplechasing talent from northern Europe in opposition. 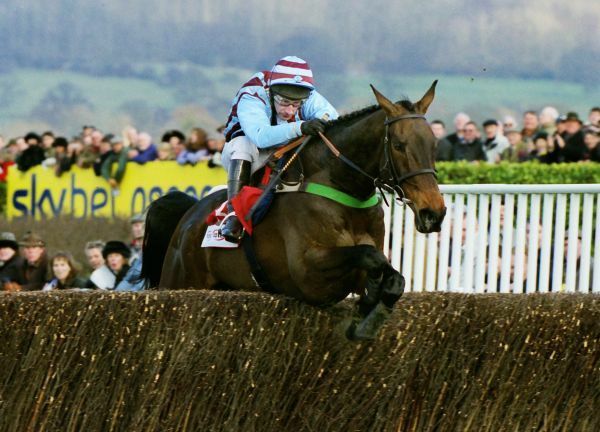 Nevertheless, defending champion Best Mate, was sent off hot favourite, at 13/8, to become the first horse for 32 years to win the Cheltenham Gold Cup twice. Held up in the early stages, Best Mate was always travelling well within himself and latched onto the heels of the leaders heading out on the second circuit. At the top of the hill, he moved smoothly into contention, with jockey Jim Culloty looking confident as stable companion Chives made the best of his way home. Approaching the third last fence it became obvious that Best Mate was cantering and, turning for home, he was left with only Valley Henry, who was under strong pressure, for company. Best Mate was 5 lengths clear jumping the second last and came right away in the closing stages to win easily by 10 lengths. 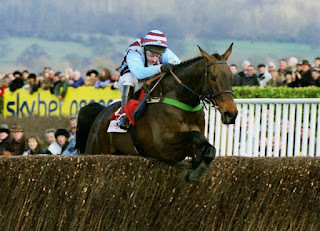 Two Irish-trained horses, Truckers Tavern, ridden by Davy Russell, and Harbour Pilot, ridden by Paul Carberry, stayed on well to finish second and third, respectively, but neither held any earthly chance of winning.